Reservation for all Your online service for your booking needs. So simple.... Let your customers do web bookings through a very simple yet extremely efficient interface! 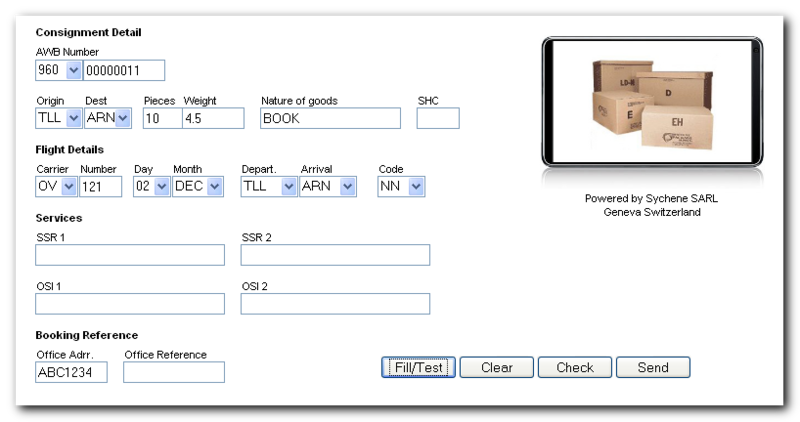 The EDIAir Web format includes all details[*] required to complete the booking process. All data entered will be validated making sure that the received reservation request is readable and in line with your requirements. [*] Need more booking details? Please contact us, we will be glad to include them for you! IS THE FFR message CORRECT? 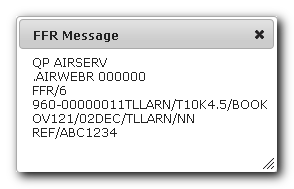 The reservation modules sends the IATA FFR message directly to your system. Depending on the type of connection your customer will receive immediate response to his request. If you have the ability to display your flights to a given destination—the customer will be able to retrieve a number of flights recommended by you before selecting the routings for the booking.